Alice Procter, age 83, of Aurora, passed away on Tuesday, June 5, 2018, at Memorial Hospital in Aurora. A Memorial Service will be held 9:00 A.M., Monday, June 11th at Faith Community Bible Church. Rev. Bob Gannon will officiate. Inurnment will follow at the Aurora Cemetery. No Visitation. Memorials may be made to the family to designate at a later date. Condolences may be e-mailed to the family through the mortuary website at www.higbymortuary.com. 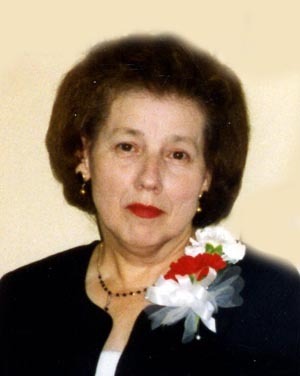 Alice Jean Procter, the daughter of Loren and Pauline (Adler) Hill, was born at Clay Center, Nebraska, on May 28, 1935, and passed away at Aurora, Nebraska, on June 5, 2018, at the age of 83. Alice was united in marriage to Carl Dean Procter on August 17, 1956 at Clay Center, Nebraska. They moved to Aurora in 1963, where she worked for Valta Ross at Shelter Insurance until retirement. Two sons were born to this union, Michael and Richard. Alice enjoyed spending time with her family and pets, shopping and gardening. She was preceded in death by her parents, husband, Carl Procter; son, Michael Procter and sister, Jerilyn Daugherty. She is survived by her son, Richard Procter and fiancé Cassandra Mott of Grand Island; special friends, Mike Vettel and family of Aurora; nieces, Cindy Mayo of Kenesaw, Susan Cleaver of Kearney and Barbara (Stanley) Knuth of Oxford; nephew, John (Margaret) Daugherty of Kearney; grand nephews, Dusty (Kirby) Knuth of Kearney, Dylan Knuth of Minneapolis, MN and Eric Cleaver of Kearney and grand niece, Kristi (Danny) Castillo of Kearney.